Just recently incorporated, the Shannon Brewing Company is currently looking for a home in the Mid-Cities. According to founder Shannon Carter, Keller or Colleyville look to be the most likely destinations, though Flower Mound is a possibility as well. Taking into account potential zoning issues, licensing and build-out, he hopes to be up and brewing by year's end. Carter caught the brewing bug around a dozen years ago, while playing for a soccer team that was sponsored by Austin Homebrew Supply (AHS). As part of the sponsorship agreement, AHS provided homebrew kits to the team, and as Carter recalls it only took one batch to know he was hooked. Joining him in this venture will be Dan Sartin, who attended the Siebel Institute and obtained a Master Brewer Certification from the Doemens Academy in Munich, Germany. Not only that, he is the first and only certified Bier Sommelier in Texas, having completed the Doemens Bier Sommelier Course. This program, put on jointly by Siebel and the Doemens Academy, provides instruction on the finer points of beer service and food pairing, while seeking to set the standard in these fields worldwide. The brewery's initial setup is currently being designed, and will be something in the range of a 20 bbl system. It will be unique in that it will incorporate a direct-fired brew kettle and mash tun. These choices are driven by a desire to re-create recipes brought over from Ireland by Carter's great grandfather, who heated his kettle over a wood fire. Shannon Pale Ale, the brewery's flagship, is based off one of those recipes. It benefits from a deep caramelization provided by the direct fire method, and is a beer that took home a silver medal at the 2013 Celtic Brew-Off. Other styles in the works include an IPA, a stout (also based on one of Carter's great grandfather's recipes), and a traditional Irish red (more along the lines of an Irish-style ESB). While there will be a few year-round brews, Carter says much of his portfolio will center around seasonal and specialty beers. A chocolate version of the aforementioned stout was meant to be one such beer, but positive response may result in it being bumped up to full-time status. Offerings will be draft-only to start, but expect packaging (Carter is leaning towards cans) to begin sooner rather than later. Track the brewery's development by signing up for their newsletter, or by following them on Twitter and Facebook. Labels: Irish ales, Mid-Cities, new breweries, Shannon Brewing Co.
Back before the Deep Ellum Brewing Company (DEBC) became the first Dallas craft brewery to open in almost 15 years, they made themselves known to the world by way of BrewBQ. It turned out to be symbolic, since in the two years that have followed DEBC has worked to bring attention to other soon-to-be brewers by inviting them to sample their suds at this now annual event. Martin House and Armadillo Ale Works were introduced during the last go around, with Armadillo's appearance being a foreshadowing of a budding partnership. 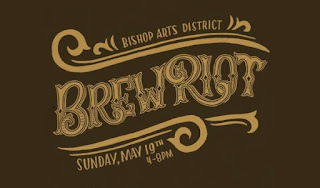 Both returned this past Sunday, setting up alongside a new brewery unearthed from down the Rabbit Hole. DEBC also showed that size really does matter, at least when it comes to housing hundreds of people under one roof. Having upped their square footage considerably compared to a year ago, previous grumbles about cramped space were literally a thing of the past. It was almost too easy to move around, at least for those of us who may have inadvertently stumbled upon an impromptu meeting of the minds in the bowels of the place. In any case, bigger was definitely better. Food was provided by Pecan Lodge of Diners, Drive-Ins and Dives fame, and then later by Dickey's due to some unforeseen supply issues. I'd be willing to bet this was more a result of gluttony than anything else, which likely means we'll see a return to controlled portions in the future. Other than that, the beer was good and atmosphere electric, thanks in part to some newly powered circular signage. Maybe it's just me, but apparently the soon-to-be rising mercury has inspired local brewers to come together for a sort of craft beer barn raising. I mean, how else to explain the sudden abundance of brews of the farmhouse variety? BrewBQ featured a foursome of these frothy fermentations, which in no particular order included Deep Ellum Farmhouse Wit, Armadillo Greenbelt Farmhouse Ale, Martin House River House Saison and Rabbit Hole Wonderlust. Of these, River House and Wonderlust seem to be the most stylistic, with Farmhouse Wit (saison/witbier) and Greenbelt (saison/weizen) being of the hybrid variety. Which is good, better or best? As with any beer, it all comes down to personal taste. If I'm going by the book, though, River House has been at the top of my list since day one. On the topic of Rabbit Hole, in addition to Wonderlust they served up 10/6, an earthy and herbal English-style IPA with a saltiness that had me thinking water treatment, along with Deuce, a more malty than bitter take on a Düsseldorf altbier. Anyone having spent time in their own little wonderland will recognize the Mad Hatter reference in the first, it having to do with a sign attached to that character's topper indicating the price of a hat to be 10 shillings and 6 pence. What's so creamy about cream ale? If there was ever a single beer style that defies its own description it has to be the cream ale. Most are corny not creamy, something that results from the use of corn or flaked maize in the mash. On this point, the guys from Armadillo shared some thoughts as to how to give this type of beer a bit more of its namesake character. Imagine a cream ale, like the one they were serving on Sunday, with added vanilla and a hint of caramel. Should they follow through on this idea, I dare say the resulting beer might actually be true to its name. Armadillo also brought out a new version of their brown ale. Attendees from last year's BrewBQ may remember Pinckneyville Stump, a pecan-infused brown ale named after what's left of a grove of trees that once served as Denton's first county seat. Pecans don't make it into this incarnation, but what remains is a solid brown, complete with caramel malt, nutty undertones and a touch of roasted bitterness. Brand and Sales Ninja Tait Lifto swears the hop bill of the brewery's flagship IPA wasn't any different prior to being given the bourbon barrel treatment. That may be true, but all I know is that what emerged in the form of DEBC's Bourbon Barrel IPA was über fresh, bright and intensely peachy. Whatever happened in that barrel worked, since in my mind this was by far the best small-batch beer of the day. Were someone to hand you a book on the history of craft beer, you'd expect it to focus on the beer and breweries that had a hand in shaping our craft beer culture. Yet, as author Tom Acitelli shows us in The Audacity of Hops: The History of America's Craft Beer Revolution, the success of the industry isn't just about barley and hops. It's also about local pride and the efforts of those who support craft beer through education, promotion and other forms of advocacy. Certainly, beer and brewers are the focal point, but if it weren't for people like Dr. Michael Lewis, Michael Jackson and Charlie Papazian, there might not be much of a story to tell. One is an educator, one was a writer and one is the industry's greatest advocate. Their individual contributions are among the most important, and each supported craft beer from its very beginning. Then again, after the first hundred pages of Acitelli's book, it's a wonder craft beer lasted long enough for anyone to support it in the first place. Pioneers of the movement like Jack McAuliffe, at his New Albion Brewery, took up the fight for better beer with no money, no specialized equipment, and in some cases little or no brewing experience. Not only that, but homebrewing at the time was 100% illegal. Thank goodness nobody cared. In telling his tale, Acitelli's narrative follows a timeline of brewery startups, success stories and eventual failures. One day its tinkerers and trash can test batches, the next it's Ivy League MBAs, multi-million dollar IPOs and Big Beer buyouts. Inevitably, craft beer rises and craft beer falls. When it rises again, the question is posed as to whether contract breweries like Boston Beer and Pete's Brewing Company should be looked upon as saviors of the industry. Both delivered beer to the masses, but some would say that craft beer isn't brewed by contract. As you follow along, for every familiar name you read, there's one or more you've never heard of who's not around anymore. Their stories are important too, for as the saying goes "you can't know where you're going, if you don't know where you've been". Quotes from industry stalwarts, especially some regarding growth and expansion from Fritz Maytag (formerly of Anchor) and Alaskan's Geoff Larsen, provide insight into the reasons some failed and why maybe they didn't have to. Many were borne of the shakeout in the mid-90s, and should be required reading for both current and aspiring brewery owners. A particular favorite from F. X. Matt II of the Matt Brewing Company in Utica, New York, reads like this, "If you brew beer, you represent the entire industry. Brew the best beer you can." What's better advice than that? 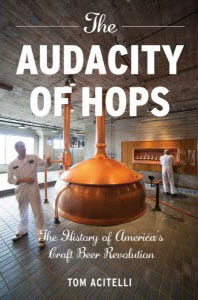 The Audacity of Hops: The History of America's Craft Beer Revolution is available on the Kindle at Amazon.com, as a Nook Book from Barnes & Noble, or in paperback at these and other retailers. Read it and you'll learn about craft beer and community, two words which are one in the same. Review copy furnished courtesy of Chicago Review Press. * Originally published on Examiner.com. Yet another brewery hopeful has taken to crowdsourcing as a way to get their craft beer aspirations off the ground. 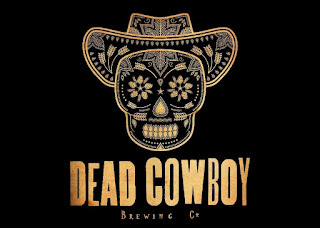 The Dead Cowboy Brewing Company is looking to renovate an old bank building on 202 E. Main Street in Royse City. According to their Kickstarter page, they're seeking pledges equaling a total of $38,000, which would supplement loans and private funds. If all goes as planned, the founders are looking at a projected opening date of December 1, 2013. 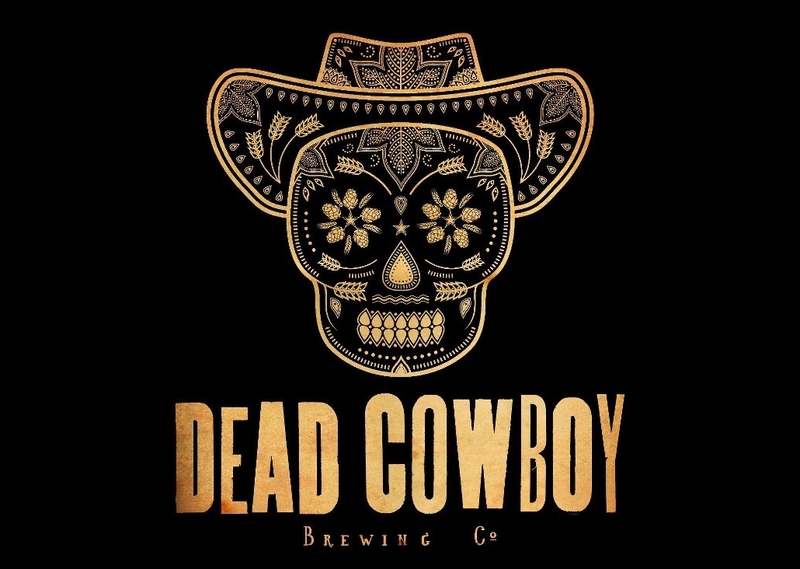 If you need further incentive, Dead Cowboy will be out sampling their wares (along with countless other homebrewers and local pros) this Sunday at Brew Riot. 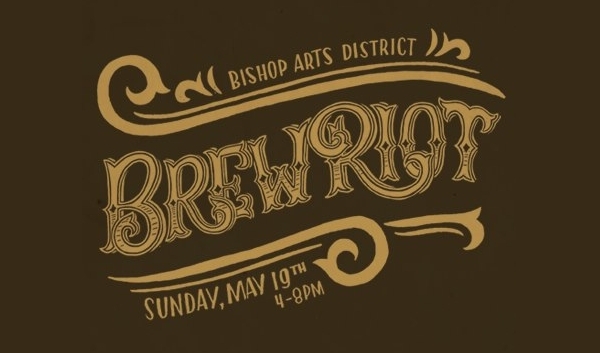 This community event starts at 4 p.m. in the Bishop Arts District of Oak Cliff. East Texas Pine IPA - Cascade, Magnum and Centennial hops. Ruby Red Wheat - White wheat meets Texas Ruby Red grapefruit. Texas Crude Stout - Chocolate and Munich malt, oats and lactose. Texas Sunset - Sparkling cider conditioned with raspberries and local honey. Follow Dead Cowboy on Twitter and Facebook. Update: Due to unforseen circumstances regarding the sale of their intended property, Dead Cowboy has ended their Kickstarter campaign. The search for a new site is underway. It seems I'm under the influence of American Craft Beer Week, since for some reason I've been craving a burger and a locally crafted beer. We'll call it my version of the all-American meal. Based on some recent openings and beer/burger partnerships, options for such a combination are growing more by the day. This time, though, I decided on a place which just celebrated its official grand opening this past Tuesday in Richardson. 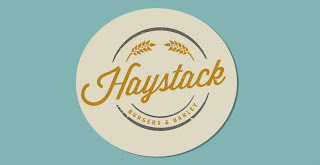 Haystack Burgers & Barley has settled into a spot on the southwest corner of U.S. 75 and Beltline, just a few doors down from what will be another craft beer destination, the Alamo Drafthouse Cinema. While the proximity is purposeful, partner Kevin Galvan explains he and his co-owners wanted to get roots in the ground well before Alamo's opening, in order to establish themselves as a quality dining (and drinking) alternative for the movie-going crowd. As far as ambiance goes (if you're into that sort of thing), the digs are simple, modern and utilitarian. In other words, they get the job done. To be honest, though, once your man-sized meat patty arrives I doubt you're going to be too worried about what's hanging on the walls. Seriously, you're going to have some work to do, and spending time gazing at the decor isn't going to help you finish the coming burger any faster. You've got a table, a chair, and a napkin. Trust me, you're good to go. By now you've probably gathered that burgers are the big draw (literally). I opted to go with something a bit more classic in the Down on the Farm Burger (cheddar cheese, lettuce, tomato, onions, pickles, mayo and mustard), which in and of itself was outstanding, but I imagine next time I'll take a stab at the Pitch Fork Chili Burger. It's topped with a rich, porter-infused chili (hooray beer!) which, based on a sample Galvan was kind enough to provide, finishes with just the right amount of spicy kick. Behind the bar, Haystack features only North Texas taps, with handles secured by Deep Ellum, Four Corners, Franconia, Lakewood, Peticolas and Revolver. Rotation is strictly brewer's choice, meaning the brewery essentially owns the slot and can swap out a seasonal whenever they see fit. As far as styles go, the selection is diverse, with no repetition among draft offerings. A craft-dominated bottle (and can) list is also available, with Big Beer only managing two spots (at the very bottom, no less) in a group of over 25 local and national brands. Remaining options include a variety of appetizers/sides, salads and sandwiches. There's also a signature cocktail called the Haymaker, but for the life of me I can't remember what's in it. Give me a break, I went for a burger and a beer. Maybe you should too. Whenever a new brewery opens, two questions immediately spring to mind. What will the beer be like, and what are the chances that brewery will be successful? Pose such queries to Jeremy Roberts, and you come away believing he and wife Natalie have their Sherman-based 903 Brewers project headed in the right direction. Listening to Roberts describe his business philosophy, his roots in marketing become apparent right away. He emphasizes product differentiation as a way to build his brand in the increasingly crowded North Texas marketplace. It's an important point for any brewer, but even more so in a city already saturated with certain locally-brewed styles. A prime example of his approach will be the brewery's first commercial beer, a coconut ale brewed with six-row barley and flaked rice called The Chosen One. That beer, along with those to follow, will be brewed on a small-batch system currently flanked by eight 2 bbl fermenters. Roberts explains that the choice of going with smaller format vessels was mostly driven by a desire for flexibility. While he could have purchased one or two larger tanks on the same budget, such a setup would limit number of different beers he would have available at any given time. He does, however, plan to upgrade to a 30 bbl system in as early as a year, with hopes of adding a bottling line or canning capability around the same time. With just over 10,000 square feet of space, he'll have more than enough room to grow. Licensing took a bit longer than expected, but Roberts appears to have used the additional time wisely. From the beginning, he has polled consumers for their opinion on beers offered during special private tastings, making sure to consider each and every response. Having sampled his creations at different times during 903's development, it's fair to say they've gotten better with each incarnation. Attribute it to better equipment and/or more experience if you like, but a continuous improvement in overall balance and quality has been evident from the start. What also might be a factor is how the founders have surrounded themselves with the right kind of people. Both spent time working with Michael Peticolas at his brewery in Dallas, while Zio Carlo's Austin Jones (formerly of Rahr & Sons) has been a fixture at 903, lending a helping hand wherever it may be needed. One would think that being mentored by award-winning brewers has to count for something. As for what you can look forward to, Roos Red Ale, a "hoppy" red ale inspired by the neighboring Austin College Kangaroos, will join The Chosen One among the brewery's initial offerings. Beyond that, a vanilla cream ale tested early on is being considered, as well as a number of limited specialty brews. Regarding the latter, Roberts is experimenting with a barrel treatment of his coconut ale, aged on toasted oak from a rum distillery hoping to open in Sherman in the near future. In closing, Roberts mentioned one thing which speaks to the type of brewing portfolio he wants to provide for North Texans. The best feedback to him would be to hear someone say "Hey, that's a beer I would drink again." I imagine a few people will be doing just that. Fresh off their recent groundbreaking ceremony, Grapevine Craft Brewery today announced a new Fundable campaign, with the goal of raising the "final" $50,000 needed to get their brewing venture up and running. Visitors to http://join.grapevineontap.com will notice that it looks very much like a competing site, with varying support levels and associated rewards based on how much you're willing to give. It may not be Kickstarter, but it does come with a bit of a kicker. "To raise our final $50,000 of startup cash, we are asking the community to fund our business for rewards and to secure 5% of all future profits for the community. What that means is that in exchange for the community's support of our business, we are going to give back 5% of our profits every quarter in perpetuity to local community organizations that are making a difference and engaging in activities that make our community better. To show our commitment, we are starting out right away by giving 5% of this campaign's proceeds directly to GRACE in Grapevine, a non-profit organization that provides food, clothing, medical services and transitional housing to those in need in our surrounding community." Potential benefactors can be among the first to publicly sample their beers next Saturday, May 18th, in the Grapevine Convention & Visitors Bureau building as part of that city's 29th Annual Main Street Days celebration. Update: Grapevine's Fundable campaign was a success as they pulled in over $60,000, fully $10,000 above their original goal. They are currently planning an October launch. Earlier this week, in a speech surrounding his GrowSouth economic development plan, Dallas Mayor Mike Rawlings made mention of a brewpub in the works, slated to be built along Jefferson Boulevard in Oak Cliff. After a little digging, I was pointed in the direction of a video which connected the dots to a name that surfaced back in January during a discussion at a local beer event. At the time, stories of backyard beer tastings and a business plan in the formative stages were taken with a grain of salt, but it now appears there is at least some truth to the rumors. 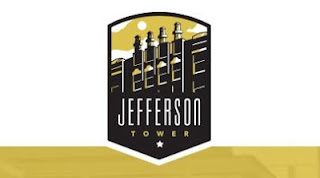 The Small Brewpub shows up as part of developer Jim Lake's Jefferson Tower project. His name may be familiar to some, as his group has also been involved in Bishop Arts and the Dallas Design District. The brewpub-to-be appears shortly after the one-minute mark of the presentation, but there's no word on when construction is expected to begin or a projected opening date. A twitter handle, @Smallbrewpub, was created earlier this year, however, no activity has been recorded to this point. You can also find a website template up at http://www.smallbrewpub.com. Back in its heyday, the Metroplex was home to as many as ten brewpubs (not counting multiple locations) open at one time, with names like Yegua Creek (Dallas' first), Copper Tank, Panther City (Fort Worth's first) and even Breckenridge lighting up restaurant marquees. The only survivor from that time still in existence today is Humperdinks (the area's longest running active brewing operation), though there is talk of Rock Bottom returning someday as well. Currently, in addition to Humperdink's and the Gordon Biersch chain, local brewpubs include the Bass Pro Shops attachment Uncle Buck's in Grapevine, the currently idle Union Bear in Dallas, and the fledgling Zio Carlo Magnolia Brewpub in Fort Worth. 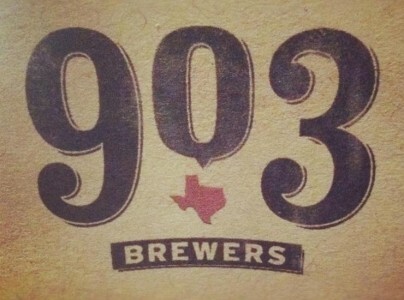 Lately, though, there has been a renewed call for a fully locally owned and operated brewpub to be located in Dallas. Union Bear fits this description, but even if they were to resume brewing, they don't have the capacity to generate a portfolio of hometown brews like many Austin-based entities produce, or what for some would be the model brewpub in Freetail Brewing out of San Antonio. Perhaps sometime soon the Small Brewpub, or other names yet to be revealed, will deliver just that.